ONGC required replacement of existing pipelines and new pipelines for better management of field due to ageing of field and deteriorating condition of existing pipelines. Phase 3 of pipeline replacement campaign included 27 rigid pipeline, 5 flexible pipelines and 4 umbilical lines along with associated risers and I/J-tubes. Design and installation was split for two separate installation campaign. INTECSEA scope of work was to perform detailed design and construction support for all pipeline and riser replacements. Crowded platforms require direct pipeline approach without use of spool. Short project schedule for design and fabrication due to short weather window. Project delivery was completed within the schedule due to tight integration with EPC contractor’s parallel design and fabrication. The design was optimized to minimize installation time and raw material usage; this translated to significant cost savings for EPC contractor. 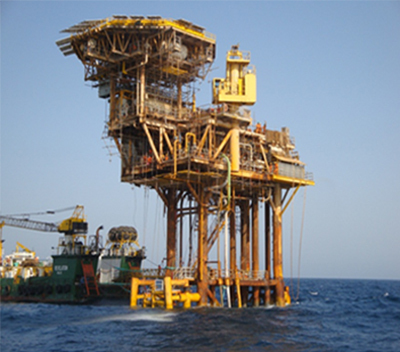 INTECSEA’s design met both EPC Contractor and ultimate client’s technical requirement. Consequently, INTECSEA was awarded with Heera Field Development Phase II and Additional Pipeline Project for ONGC.